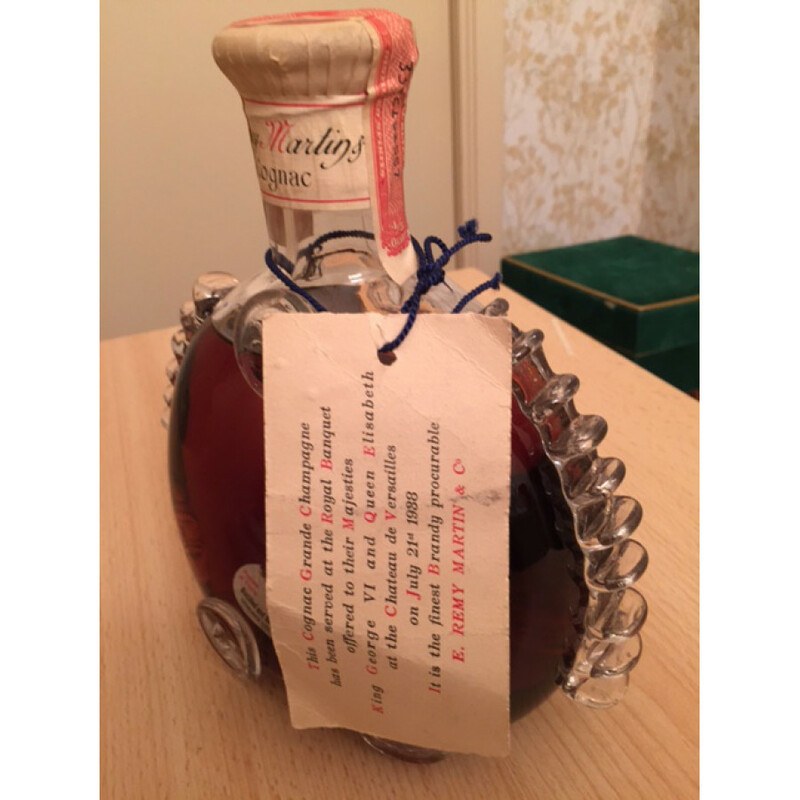 A Rémy Martin Louis XIII bottled in the 1930's (presumed). The bottle is still sealed and the level is good. 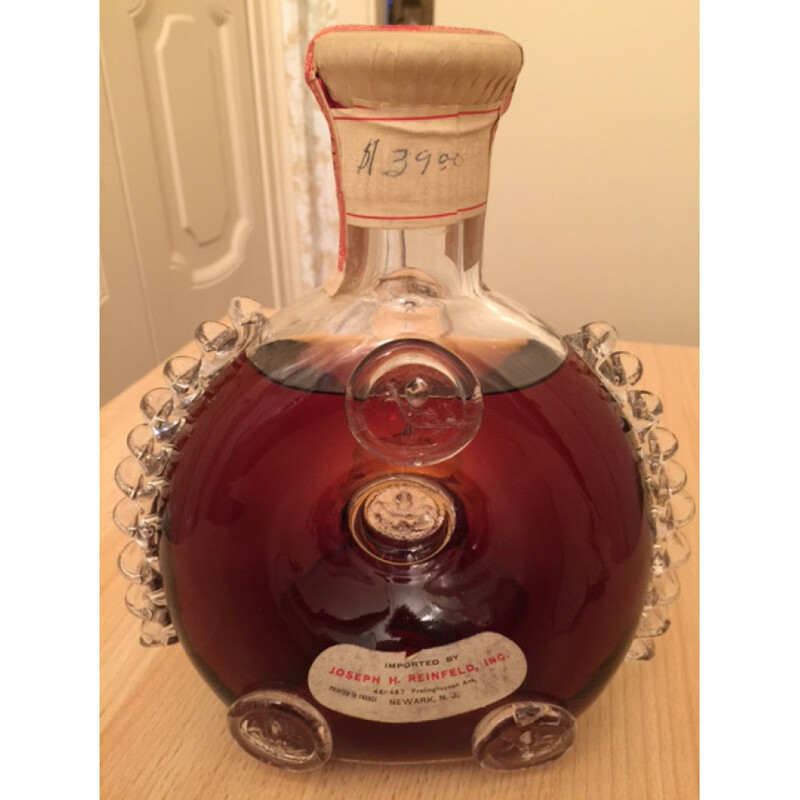 The labels are a slightly damaged but not bad considered the age of this extraordinary bottle. 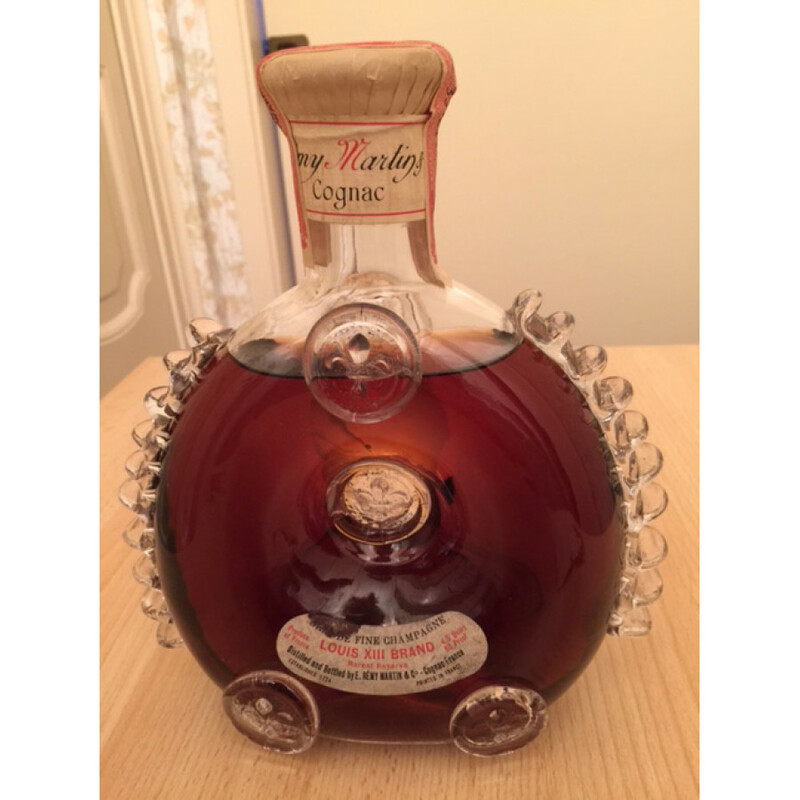 "Paul-Emile Remy Martin, who created this Cognac first in 1874, was also responsible for the remarkable and distinctive bottle, emblazoned with a fleur de lis and with spiky the town of Cognac. 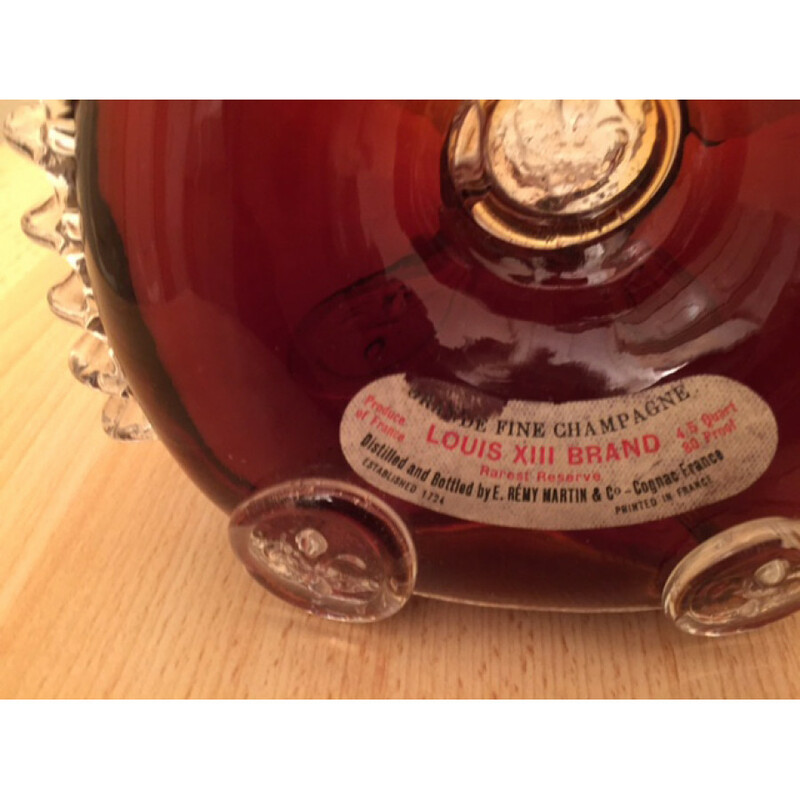 From 1874 till 1936 the Louis XIII decanter was made of ordinairy glass. 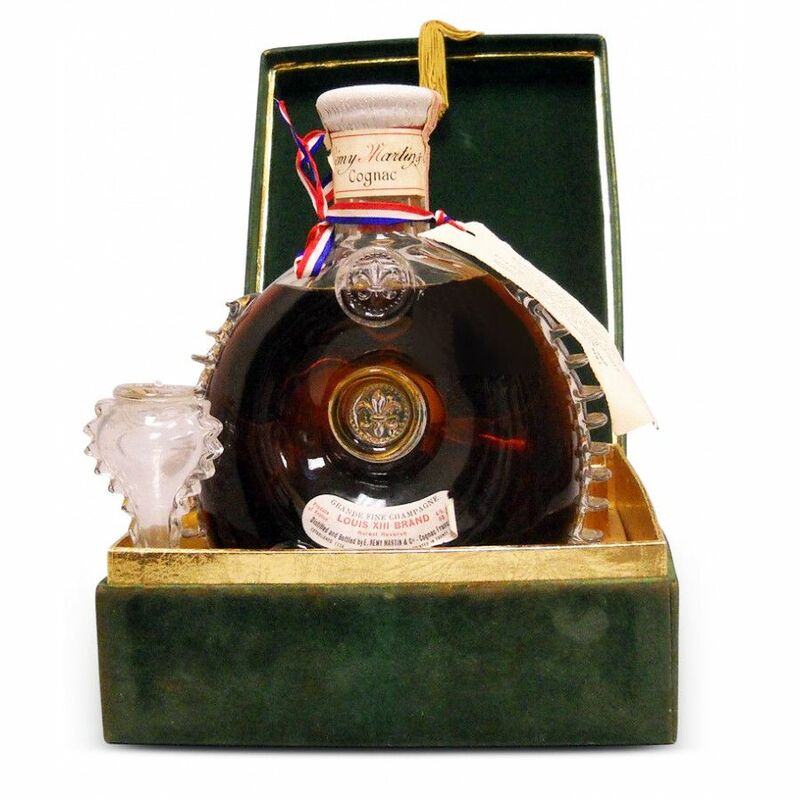 Since 1937 the decanters have been exclusively made in crystal by Baccarat (each is thus signed on the base). Prior to this they were made at the equally famous St Louis glassworks." The importer Joseph H.Reinfeld received a US Liquor Importers License in 1933. He was one of the largest bootleggers during prohibition. The company was rolled into Browne Vintners in the late 1930s and disappeared when Browne Vintners was sold to Seagrams in 1940. 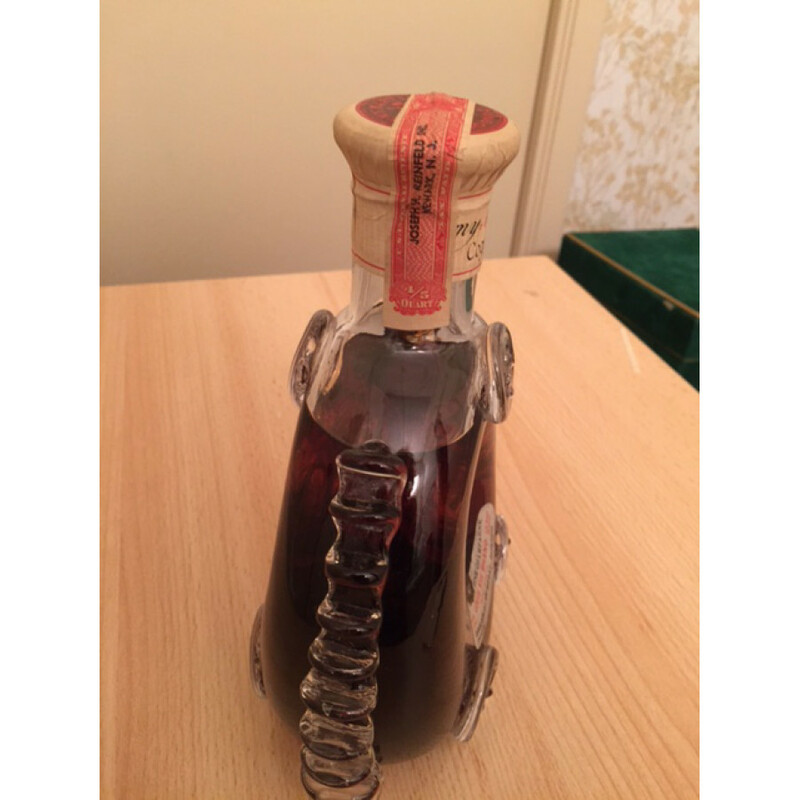 The seller inherited this bottle from here great aunt. Item is with a green velvet, gold tasseled box in the brown paper bag. 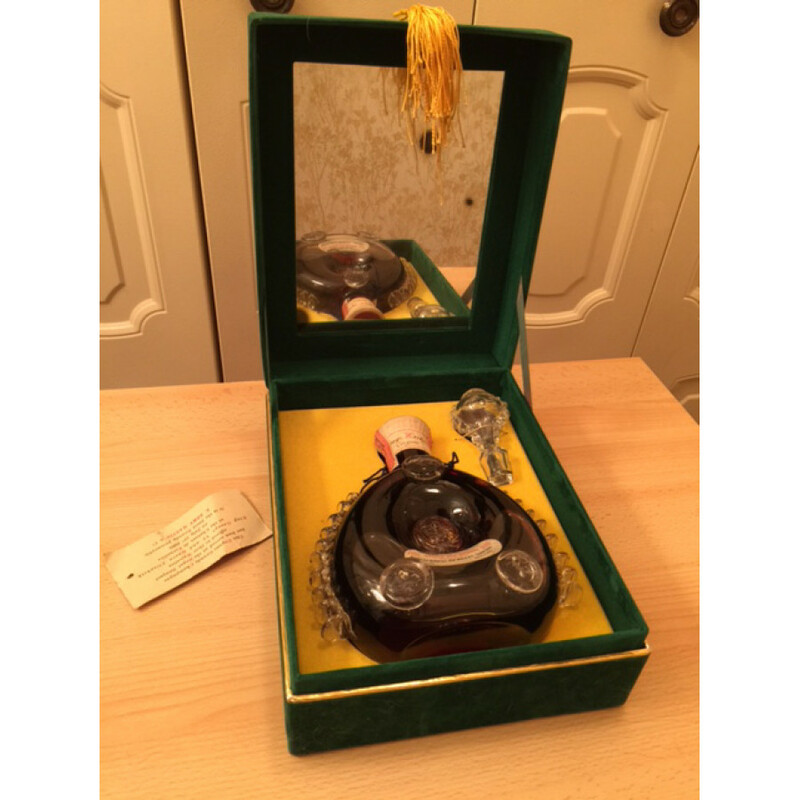 Stunning baccarat bottle with wonderful stopper. Private Seller from USA. Stored in a dry place. Lying on its side. All duties paid.